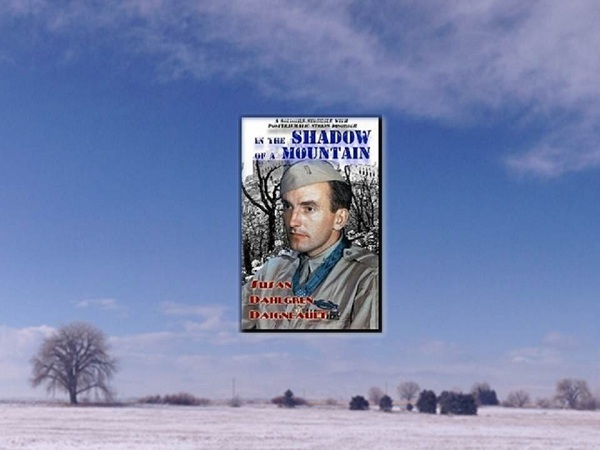 Susan Dahlgren Daigneault, author of “In the Shadow of a Mountain” gives us an invitation into the family of Medal of Honor recipient Edward C. Dahlgren. This is a deeply personal account of the life of a true hero. It has many layers and gives the reader insight into the character of a man who epitomized selfless service, humility, integrity and honor. You will travel the life span of Lieutenant Dahlgren from his rural upbringing to his final days in a Veteran’s Administration nursing home. Susan honors her father by framing his life in the context of his service and struggles with post traumatic stress. By telling the story from a daughter’s perspective the author weaves historical fact, clinical studies and vignettes of one man’s personal example to highlight the generational impact of war. The author provides an extensive list of resources that will assist our Veterans and their families with dealing with post-traumatic stress. Lieutenant Dahlgren continued to lead by example by seeking counseling to deal with the emotional cost of his combat experiences. A key part of this discussion is the actions of his wife, Pauline Dahlgren. The role of the caregiver is given just due in this accounting, and in my opinion, will benefit our Military spouses immensely. The author, Susan Dahlgren Daigneault, will be sharing the process of writing the book in an upcoming post on Military Success Network. Please visit the comment section below to share your experiences or questions with Ms Daigneault. SUBSCRIBE NOW and don’t miss the follow up conversation, exclusively for MilSuccessNet readers. Insightful book by a loving daughter of a WWII Medal of Honor recipient. The author understands the emotional after effects of war and how her father and family were impacted. As a daughter of a WWII paratrooper who also struggled with postwar trauma, I am glad to see such a well written and caring book. Dear readers, Carol is the author of The Hidden Legacy of World War II: A Daughter’s Journey of Discovery. Like Sue Dahlgren Daigneault’s book, it interweaves the realities of PTSD, and family life. The impact of service is felt deeply by others who surround the military man or woman. In Carol’s case it was her famous paratrooper father, Dutch Schultz, who inspired the journey her book takes us on. In Sue’s book it is Edward C. Dahlgren, Medal of Honor recipient. Thank you both for sharing your stories.